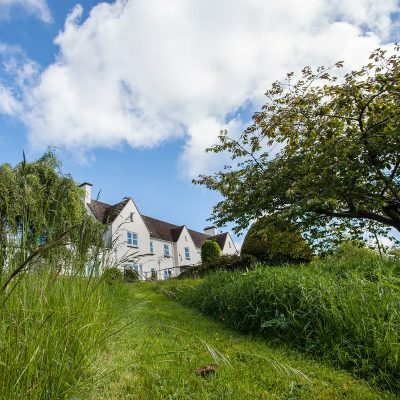 Resthaven offers 24 hour residential and nursing care set amidst some of the finest countryside in Gloucestershire with panoramic views over the Painswick valley. 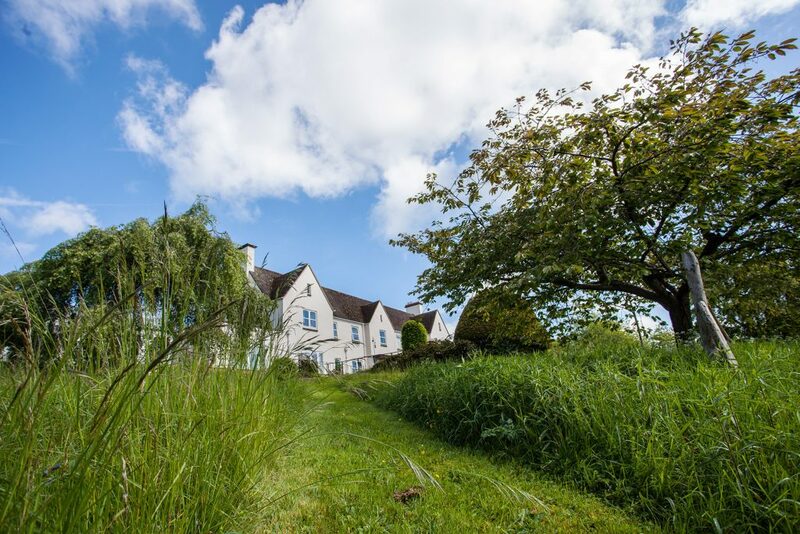 Our tranquil grounds are a haven for wildlife; we have the pleasure of watching the rich birdlife, rabbits, foxes and even deer from the home. 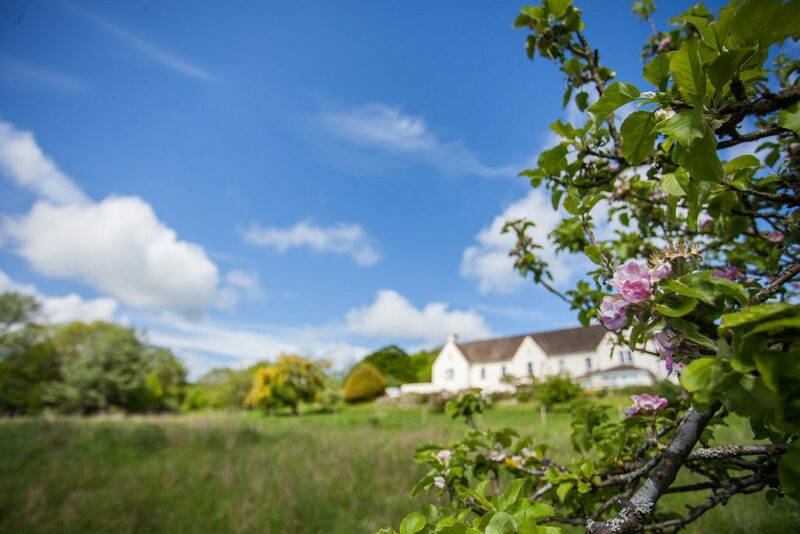 Our gardens are full of interest all year round – the blossom in our orchard is a highlight every spring. 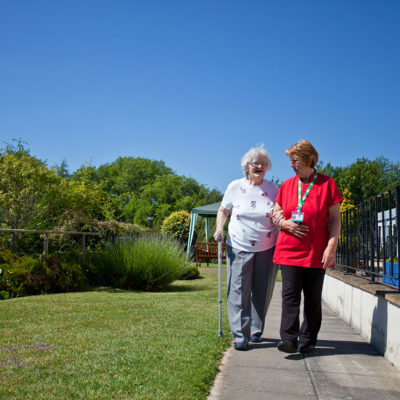 Our patios are fully accessible and there are plenty of paths to explore for those who enjoy a gentle stroll. Our courtyard, which nestles between two wings of the home, offers an accessible sheltered spot. The variety of seating areas across the grounds means that residents and their families can always find a quiet private area to enjoy. 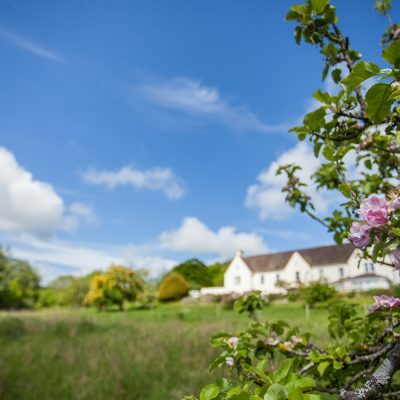 We are privileged that our home offers a variety of communal areas: lounges, dining area conservatory, activities suite and chapel, with the panoramic views as their backdrop. 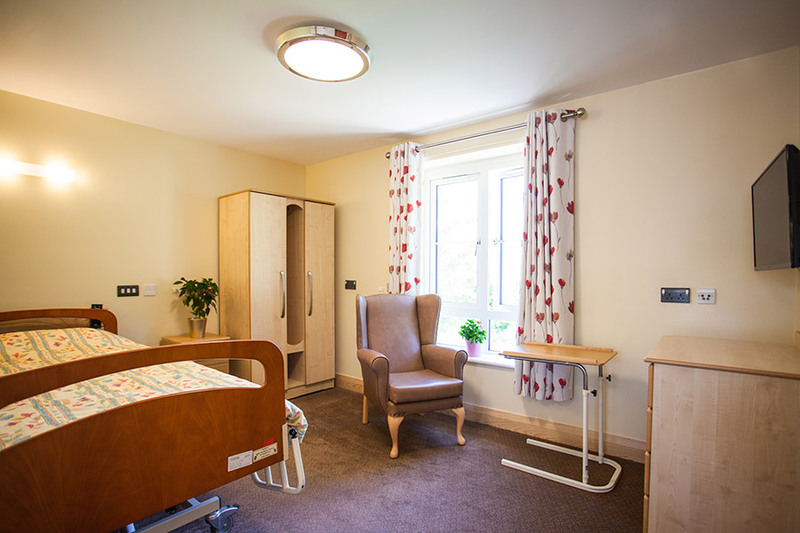 Residents are welcome to add their own furnishings and personal belongings to make their room their own. All our rooms have washing facilities and some include ensuite facilities or wet rooms. The home is fully accessible. Our care is nurse-led 24 hours a day and we are unusual in the high level of qualified nurses (including mental health nurses) that we have on every shift. 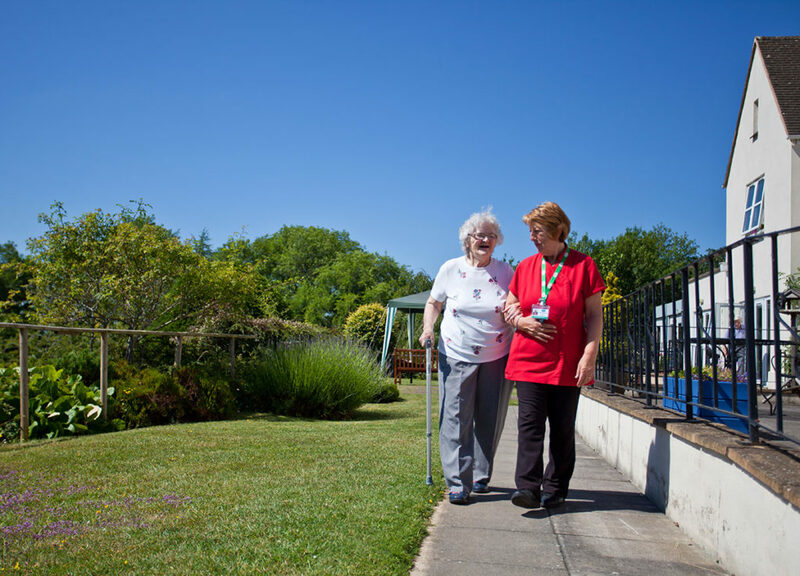 We work closely with a multi-disciplinary team of external health professionals including doctors, specialist nurses and the NHS rapid response team to ensure every resident’s care needs are met and unnecessary hospital admissions are avoided. We have a close rapport with our local GP surgery who hold regular surgeries at Resthaven. We also have regular visits from a chiropodist and vision examination team. 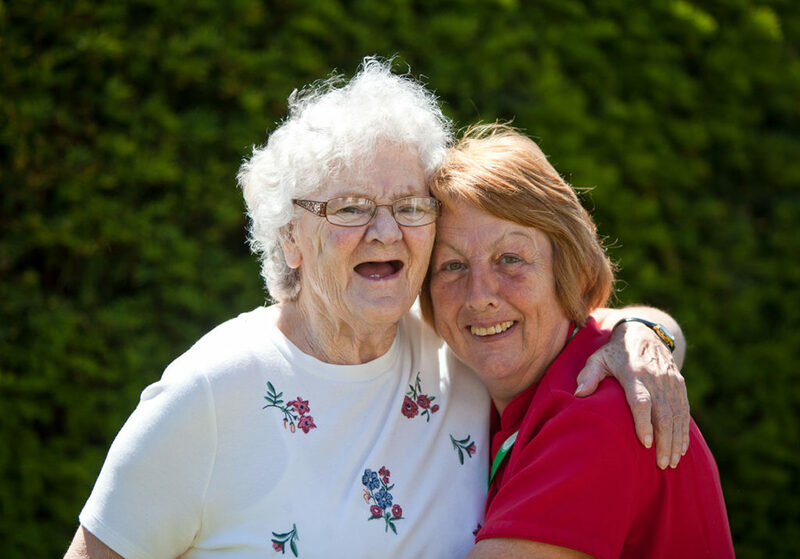 Each resident has a named nurse and carer who work closely with residents and their families to create a person centred plan of care which is constantly reviewed. We have a range of clinical equipment. 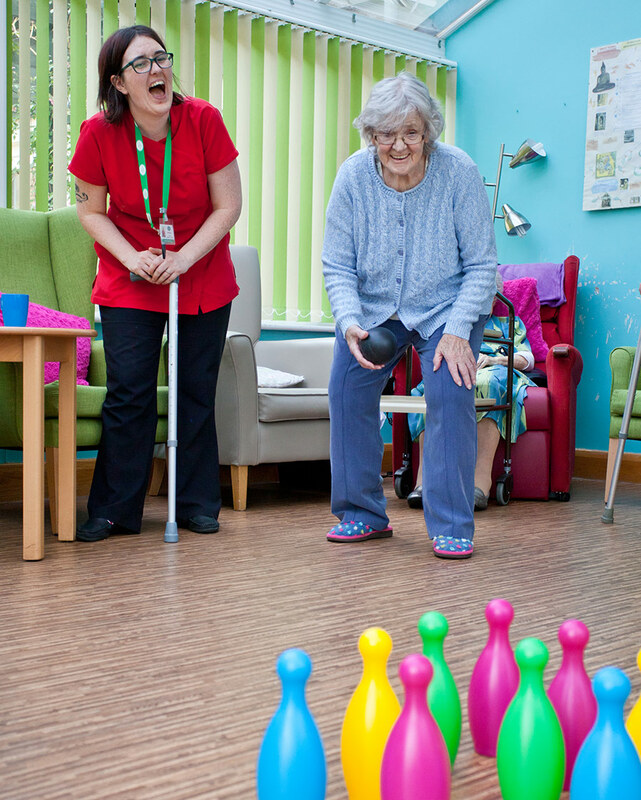 We have a dedicated suite of rooms for our activities programme. 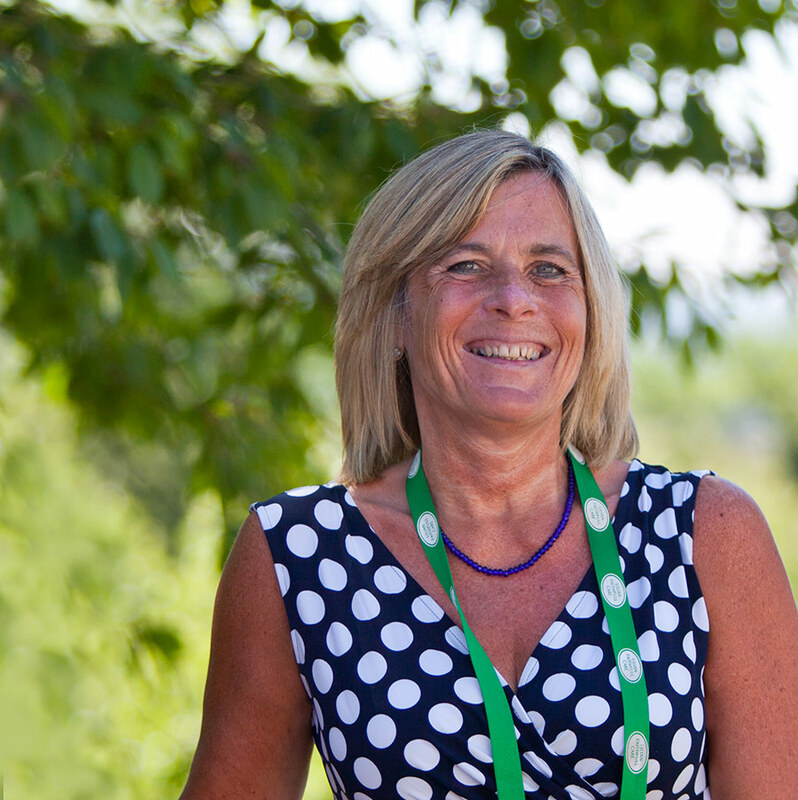 Our full time activity coordinator leads a team who offer different activities every day. 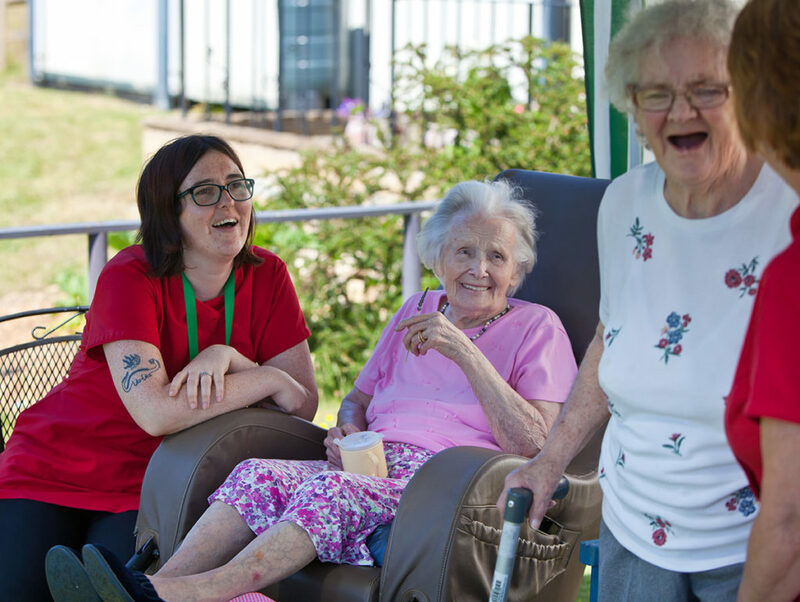 Family and friends are always welcome to share in our activities programme alongside their loved ones. 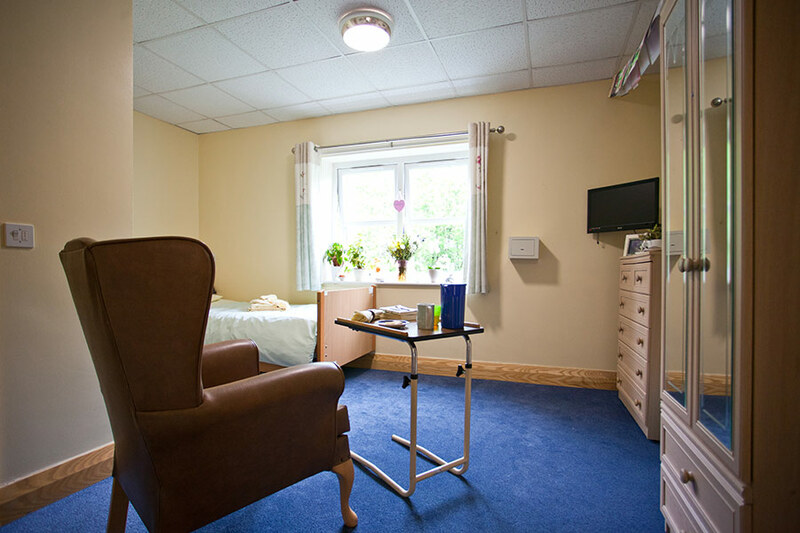 For those residents who stay in their bedroom either by choice or due to ill health we work to find things they enjoy on a one to one basis. 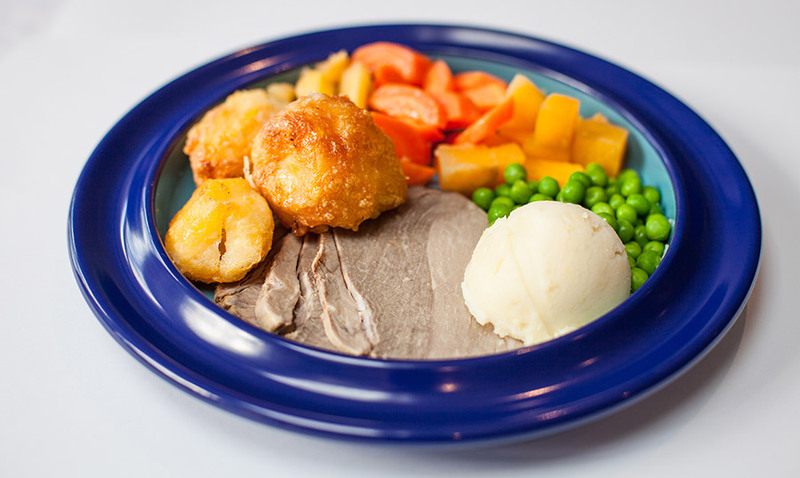 Our chefs prepare fresh nutritious and well balanced menus each day, offering a wide range of options at every meal. 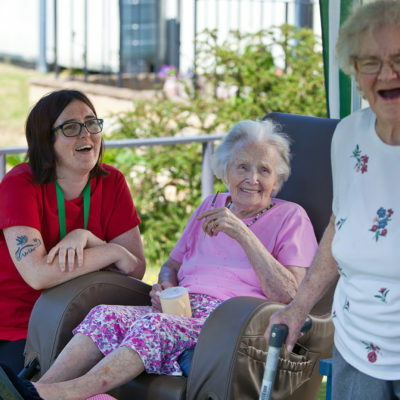 Sherry hour is enjoyed by many before lunch each day when residents and staff gather to socialise. Our afternoon tea is a favourite focal point each day; a classic British afternoon tea served in our dining room or in the privacy of your own room if preferred. This is a time when residents and their guests relax and socialise over the delicious treats. The chefs are experienced at preparing special menus for people who have difficulties chewing or swallowing including puree meals. 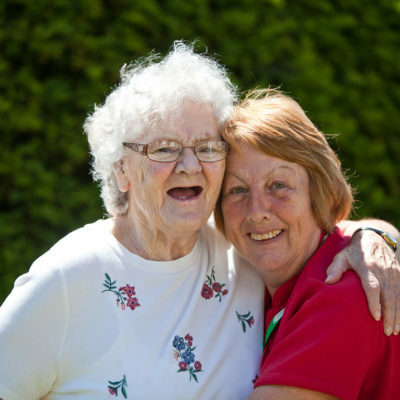 For residents who need help at mealtimes, we have a team of specialist carers to give assistance with eating and drinking. As far as possible they support the same residents each day so that they build a personal understanding of their individual preferences and closely monitor how much is consumed to ensure residents are well nourished and hydrated. We hold special seasonal days throughout the year, theming our food around all the major festivals as well as sporting and royal events. We welcome guests to join residents for a meal and we enjoy hosting family parties for any occasion. As a charity we are able to offer very competitive rates for our nursing and residential care. Fees vary according to factors such as the level of care required and size of room, so please talk to Jo, our home manager to find out more. We would never ask anyone to leave due to their personal financial circumstances. Come and visit us to get an immediate feel for the warm, happy atmosphere at Resthaven and appreciate the panoramic views! You are welcome to join us for a coffee, talk to Jo and the team and tour the home to understand more about our care and life at Resthaven. We are truly a ‘Home for Life’. Resthaven was my wish come true. To find a place to live your last few months with care, kindness and love given by the wonderful staff and to see how happy my father-in-law was, I must have been blessed finding Resthaven. Resthaven has made it possible for my father-in-law to leave us with happiness in his heart. My family and I have encountered nothing but kindness, helpfulness and cheerfulness in all the staff. Any problems have been addressed and our visitors have commented on the high standard of care given. My father came to Resthaven for the end of life care from the hospital, from the moment he arrived to his death we as a family were relieved and felt supported. Dad said care was always of the best. From the manager and her staff to the quality of the food to the atmosphere, activities, nursing care and ambience. Resthaven really is a wonderful place. It is a family atmosphere with people who really care about everyone there. Contact, as we live away, was excellent. Thank you to you and all your staff for looking after my Mum... Mum always said how helpful and kind all the staff at Resthaven have been towards her and I could see that she was always greeted and enabled with warmth in her living with you... I know that requires lots of individuals personal resources and effort to create a home that holds a person in both a soft and safe way. Mum and I were helped in so many different ways to meet this change in our lives and I am very grateful for that.